It’s been four years since Digitalism released their debut, Idealism. At that time they were one of a handful of pioneers developing the hybrid of indie and dance music and Idealism stands as an important milestone in the progression of what became known as ‘nu-rave’. Since then the genre notoriously expanded, diluted and collapsed under the weight of weak immitators and heavy criticism from it’s initial supporters. Four years on and everything has changed in the world around them, do Digitalism have what it takes to keep up? 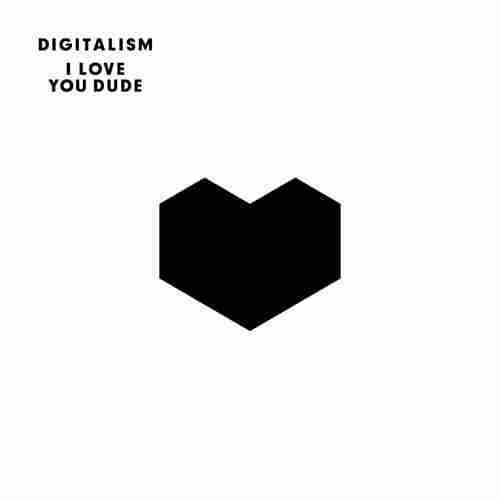 The first thing that needs to be said about Digitalism’s new album is that the title, I Love You Dude, is awful. Not only does it include the word ‘Dude’ – an instant faux pas – but all four words combined create a phrase that’s only ever slurred by the heavily inebriated. It doesn’t suitably reflect the album’s content either, for the most part the music is punchy, interesting and not excessively long, or drawn out. First track, Stratosphere, opens with a Vangelis style vintage synth before Digitalism’s trademark drums, electro basslines and icy pads kick in, a smooth retro vocal snippet rounds off the mix and ILYM gets off to a positive start. 2 Hearts is their latest single and conforms to a much more song-led structure with a full vocal track. Circles is similar, they’re not breaking new ground here but the mini breakdowns that drop into thumping electro riffs remind us exactly why we were fans of Idealism. Blitz (released last year) is an instrumental banger and what I think Digitalism do best, stuttered drums and arpeggiating synths abound. Forrest Gump successfully adds acoustic guitar to an uplifting vocal track where Jens Moelle’s vocals have noticeably improved from their debut. Reeperbahn is where it all goes wrong. Arguably Digitalism needed to try their hand at something new in order to stop ILYM being ‘Idealism Part 2’ but here and on following track, Antibiotics, they appear to be emulating The Prodigy and The Chemical Brothers circa the late nineties. These aren’t bad acts to reproduce if they succeed but they don’t. Both tracks sound like the kind of generic angry electro/breakbeat that accompanies Vin Diesel when he walks into a generic bad-guy-owned super club in one of his generic over the top action films. Think excessive leather, women leading men around on chains, fire breathers and our bald headed lead finding enough space on the crowded dance floor to beat up an unlikely amount of cyber goons. Immediately following this ill informed foray we’re met with Just Gazin’, this time the acoustic guitar is jarringly out of place as are the Air style, reverb-laden female vocals. Miami Showdown is another instrumental but fails to make any impression. The final track, Encore, is the only reason to own the second half of the album. Another primarily instrumental number with ascending choral chants that build to an energetic hook. It’s a pumping track and the drop is guaranteed to put a smile on your face. ILYM isn’t genre defining but, then again, it was never going to be. Few acts achieve that more than once in their career. It does (in places) show Digitalism’s progression. The vocal led tracks feel more natural as songs than previous attempts and the vocals themselves are greatly improved. The production is cleaner, denser and more complex and it reminds us exactly what we enjoyed about Idealism but that, in turn, makes it feel a little dated. This is only applicable to the first half of the album as the second half marks a (misguided) change of direction for the German duo. ILYM is definitely worth a listen, but unfortunately its not quite the cohesive comeback we were looking for. With two of 2007s dance heroes not fully delivering (see also Sebastian’s debut, Total) all eyes will be on Justice‘s follow up to see if anyone can make good on their early promise. I Love You Dude is out now and can be purchased from Ape and all other good music retailers.